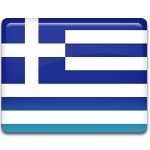 Greece declared its independence from the Ottoman Empire on March 25, 1821. This is one of the most important events in the history of Greece, that is why it started celebration of Independence Day. Unlike many countries celebrating Independence Day on the actual day of gaining independence, Greece chose another date for the holiday. The declaration of independence from the Ottoman Empire started the Greek War of Independence, also known as the Greek Revolution. In fact the war lasted for more than 11 years and it involved Russia, the United Kingdom, France, Egypt and Tunis. The revolt started in the southern Peloponnese and during the next three months it spread to Cyprus, Crete, a part of continental Greece and islands in the Aegean Sea. The revolutionist were able to capture a significant part of the territory, but the Ottoman Empire used repressions to suppress the revolt. The Greek War of Independence ended in 1829, its results were set in the London Protocol of August 30, 1832. It set the boundaries of the new Greek Kingdom. The exact date, when Greece gained independence, is hard to be named. The First Hellenic Republic was created on January 1, 1822 and its independence was canceled in June of 1829. London Protocol was signed on 3 February, 1830, but it was accepted by Greece only two years later. This can explain, why the the beginning of the Greek Revolution was chosen as Independence Day.